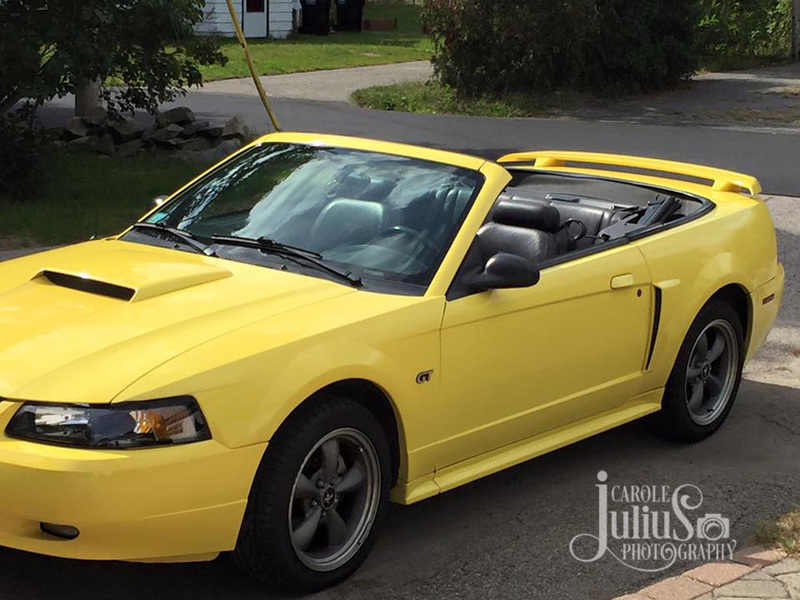 About a week before my birthday Dale came home from work and said, hey, there’s a Mustang convertible for sale up the street. I think you should go test drive it. I guess you can figure out the rest of the story from these photos. She’s a beauty like her owner. Have fun ???? Fun stuff! Hope you have good weather long enough to get well acquainted. A cool present from a cool dude! I should add that I bought a red Honda Del Sol for my husband’s 50th. We called it “Nifty”, and he had the license plate NIFTY50. We had a good time scribbling on restaurant napkins for 6 months before we finally chose Nifty. Now what will Sally’s name plate be? I hope you and Sally have a wonderful time together! How lucky are you? Have fun & be safe! And I think she looks great in your driveway! Congrats on the new toy. Will the Jeep be jealous about another vehicle with top-down action? She suits you so well!! Like I’ve said before, you know how to live!! Sally is a stunner–what a pair and what a hubby! There’s still lots of nice weather ahead this fall for keeping the top down! So jealous! As a 17 year old I lusted over a baby blue mustang convertible! This yellow one suits youwell. What a cool ride! Enjoy!!!! Nice. We rented one when we vacationed on Hawaii and it is a good car–your hair doesn’t get incredibly blown around as it might in other cars (coughcough mazda miata coughcough). Weeee! Annie & I loved the one we rented in L.A. last year. Have fun!! Love the name… 😉 AND the car!! Enjoy!! 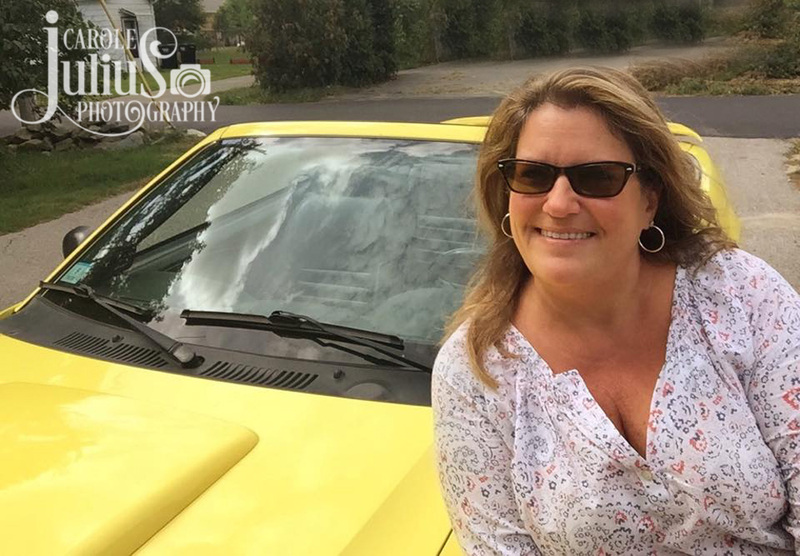 Wow…she’s gorgeous…and the car’s pretty nice, too! Had a Mustang convertible many moons ago…what fun you’ll have! Enjoy the ride!!! Oh, that is one sweet ride Carole!!!! You know how to celebrate a milestone birthday! I wish you the best with your new baby! how fun! 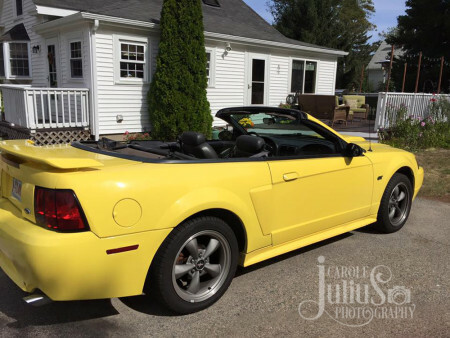 truly, nothing says HAPPY better than a yellow convertible…with the top down. Hope you get plenty of time to enjoy that top-down feel this fall! Lovely! Hmmm. My birthday is coming up, I doubt one of those is in the cards, though.